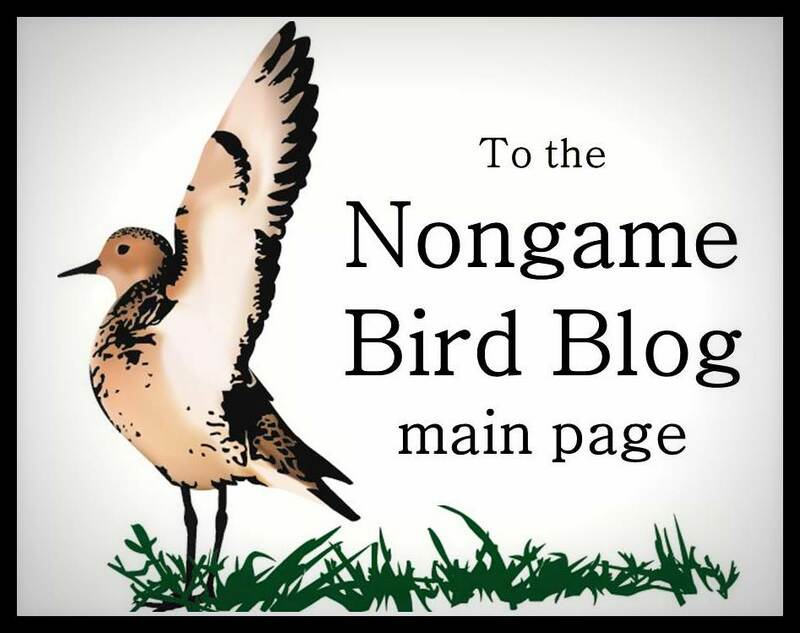 I blogged about hybrid ducks on a couple occasions during the past few months. 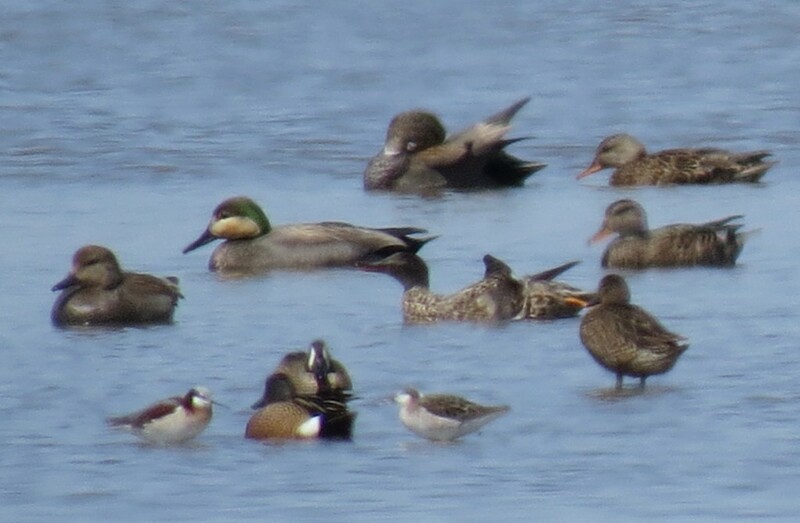 First there was a Mallard X Pintail hybrid near North Platte and then the Mallard X Gadwall hybrid at Lake Ogallala. On Saturday, 3 May, I observed yet another hybrid puddle duck at Hansen Waterfowl Production in Clay County. 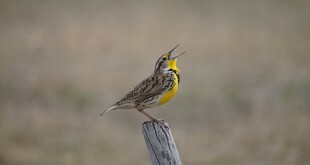 Luckily, I got decent documentation of this bird. Take a gander at the video. Gadwall is clearly one of the parent species and this drake appeared paired to a female Gadwall. However, the other half of the hybrid is not so clear. The bird is superficially similar to other Mallard X Gadwall hybrids, also referred to as “Brewer’s Ducks“, but usually birds identified as this hybrid show some characteristics of both parents. I am having a difficult time finding anything about this bird that is purely Mallard. The iridescent green area surrounding the eye and extending toward the back of the head is similar in shape to that of an American Wigeon and Green-winged Winged Teal. 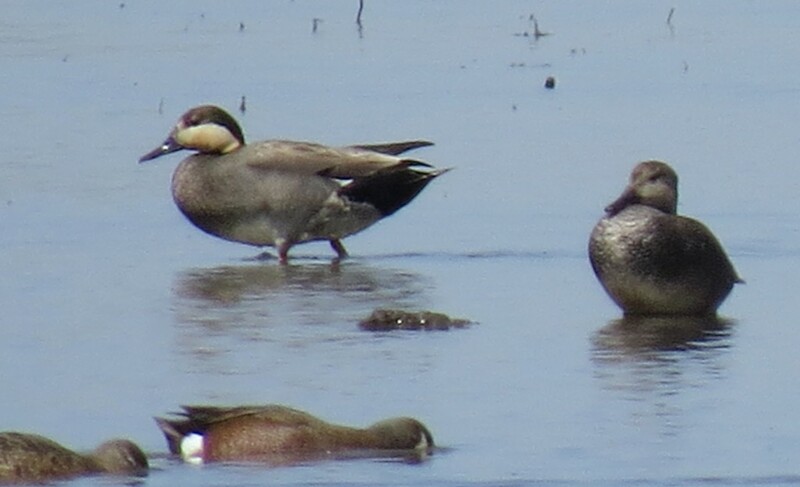 Apparent Gadwall X American Wigeon hybrids have been reported (see here), so have apparent Gadwall X Green-winged Teal hybrids (see here). 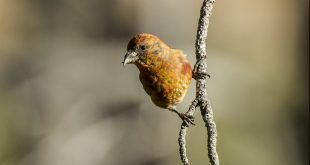 But again, these birds provided a few more clues regarding the identity of the “other” parent species. This bird in question had a body similar to typical Gadwall but with a very odd head pattern and coloration. I have also considered a Gadwall with an aberrant plumage, but the head pattern and color seem a little too extreme. It is interesting to speculate and I’ll gladly consider any suggestions. With that said, it is prudent to exercise caution when attempting to identify hybrids or birds with an abnormal plumage. 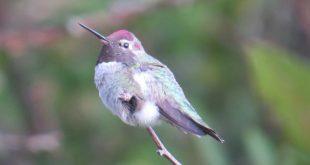 Some birds are best left unidentified.